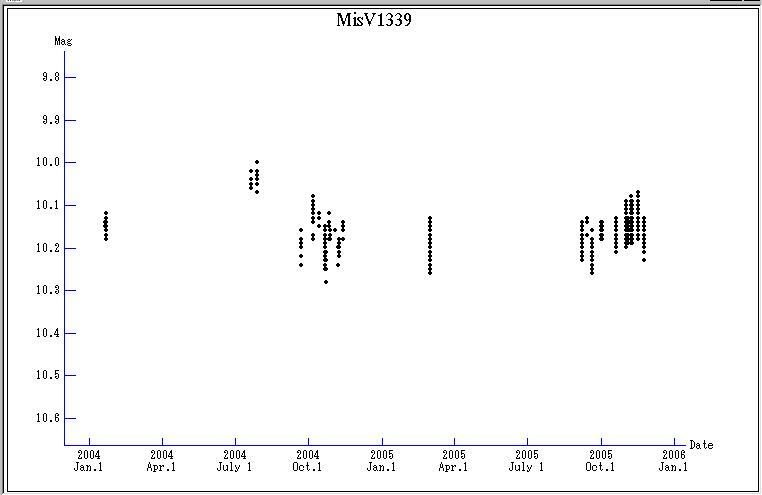 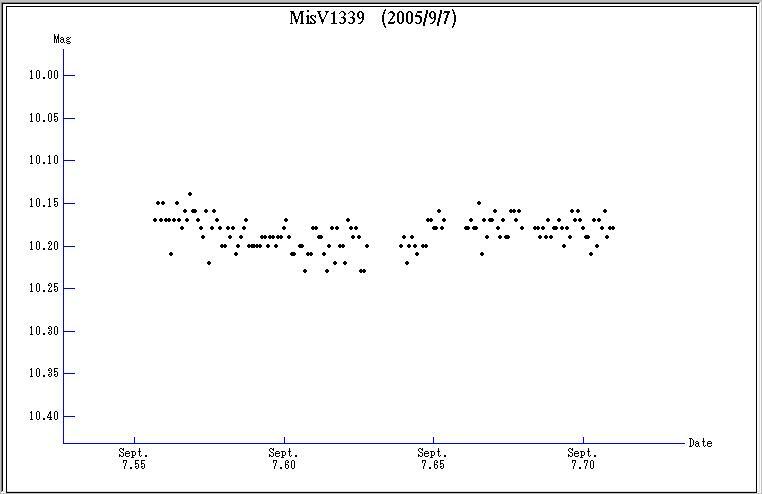 Kazuhiro Nakajima, Mie, Japan, discovered a new variable star MisV1339. 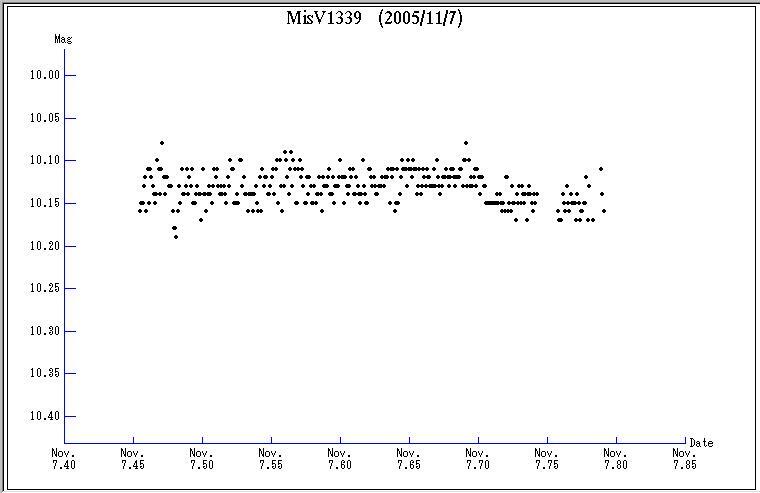 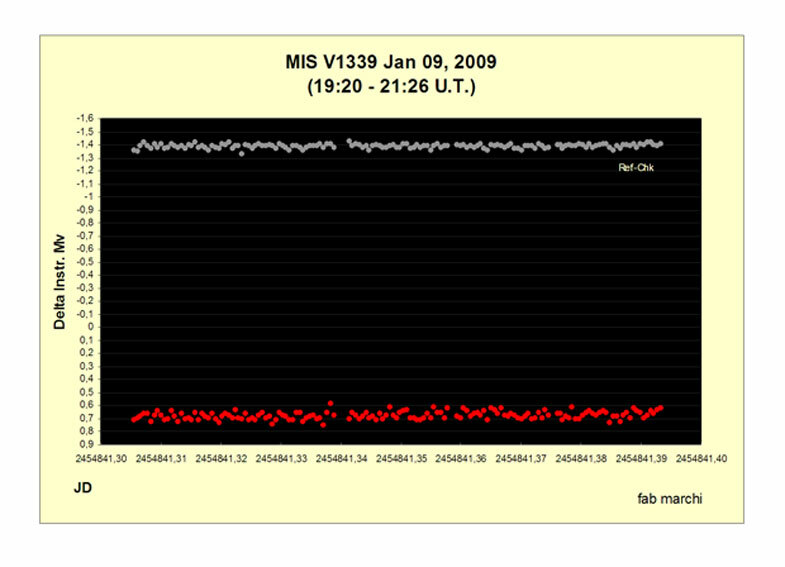 It was picked up during time series photometry of MisV1317 in the course of the MISAO Project. 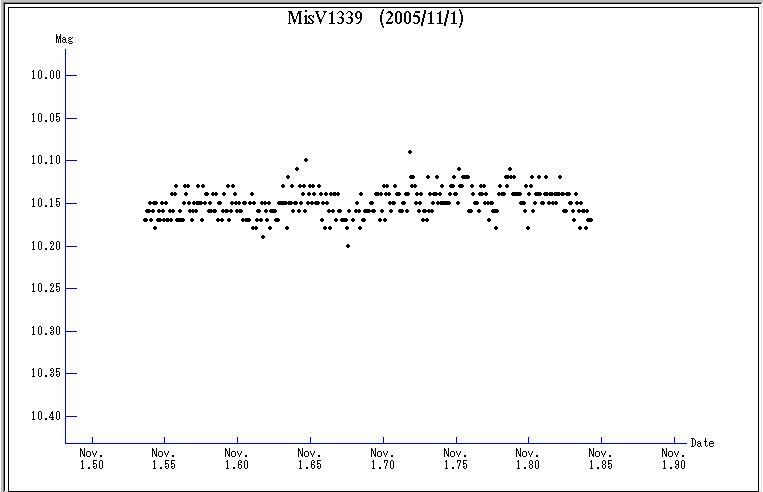 Not only the long term variation, a short term oscillation with an amplitude of 0.10 mag was also confirmed by the time series photometry on three nights.